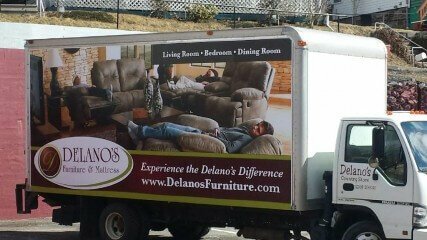 The Delano’s Difference doesn’t end when you purchase your new furniture or mattress from Delano’s. We can work with your schedule to arrange for your new items to be delivered right to your door, at a time that is convenient for you. Our hometown delivery team is friendly and respectful of your home and your family. We will take extra care to protect your new furniture investment, and place it exactly where you want it. If you need help removing the old furniture or mattresses, please let us know. If you live outside of these areas listed below, give us a call at 304-864-5364. We will work with you to make arrangements to get your new furniture to your home.